Located in Dunmurry lane to the south of Belfast, Dunmurry Golf Club was founded in 1905. The 18 hole course is a pleasant place to explore some of your hidden golf skills. 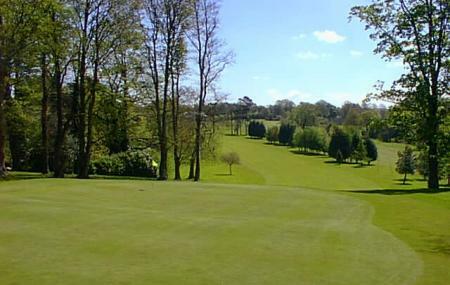 If you're looking for a championship golf course near Dublin, Dunmurry Golf Course may just be it. Ticket prices may vary. Visit the official website for details. How popular is Dunmurry Golf Club? People normally club together Azora Health & Wholefoods and Milltown Cemetery while planning their visit to Dunmurry Golf Club. Course is always in good condition and not too difficult for amateur golfers. Played the course a part of a team event on 31 August. Wonderful experience. Great weather and scenically very beautiful. Course which is tricky and interesting was in very good condition as were the greens. We had dinner afterwards and this too was excellent. Staff very friendly, humorous and professional. Highly recommended. Our fourball travelled to play Dunmurry GC today (open competition) On arrival we were told that we would have to play off mats on both the fairway and in the rough.. if we had know this at the time of booking we wouldn’t have bothered. The course was not in great condition being very wet in places. A temporary green for the first consisted of no more than a hole plonked in the fairway. We were constantly held up with slow play from the fourball in front of us, who had lost at least a hole to the players in front of them. When we approached the 18th green we were met by the club pro who was lest than friendly, basically waiting there to get his mats back and instructing is all to make sure we ‘put our cards in’ In all we were disappointed with the experience and will not be returning. Golf course in wonderful condition, all due to the green staff, even I get the odd par!! Restaurant and bar staff are second to none, smiles and good manners are the norm. Five star restaurant especially the steak nights with background live music adds to the atmosphere.